How unique is this quinceanera dress? I love the combination of innocence and darkness. Black and pink are a hard color combination to pull off. 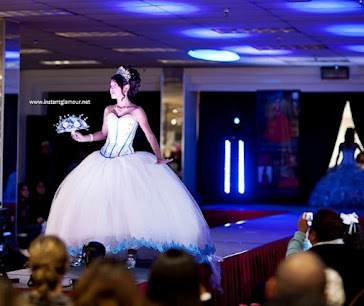 Only a girl with a strong personality can wear this creative quinceanera dress. The beautiful embroidery and the hairstyle also makes this dress quite alluring. Would you wear this 15 dress?